Dance music festival ZoukOut will see the highest number of music acts making their debut this year in the event's 15-year history. Its organiser, nightclub Zouk, has announced the first wave of the annual ZoukOut festival line-up. Close to half of the 12 international acts will perform for the first time in this year's ZoukOut. 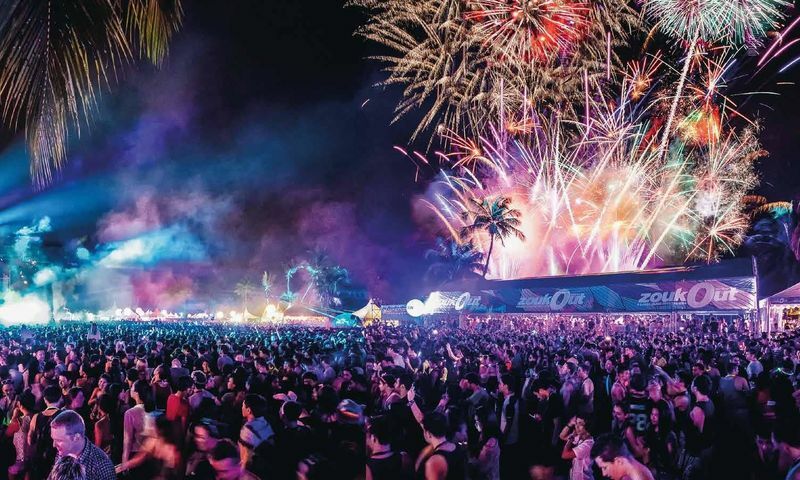 The pulsating beach rave party will be held on Dec 11 and 12 at Siloso Beach in Sentosa. In all, about 30 international and local dance music acts will hit the stage over the two-day event. Other crowd-favourite acts include Grammy-winning DJ and record producer Tiesto, seasoned American DJ Kaskade, and Australian dance duo Nervo. And like last year's edition, local DJs will perform alongside international acts on the festival's two main stages. They include Zouk's resident DJs such as Formative, Hong and Lincey. The second wave of acts is slated to be announced in August or September, when ticket sales start.